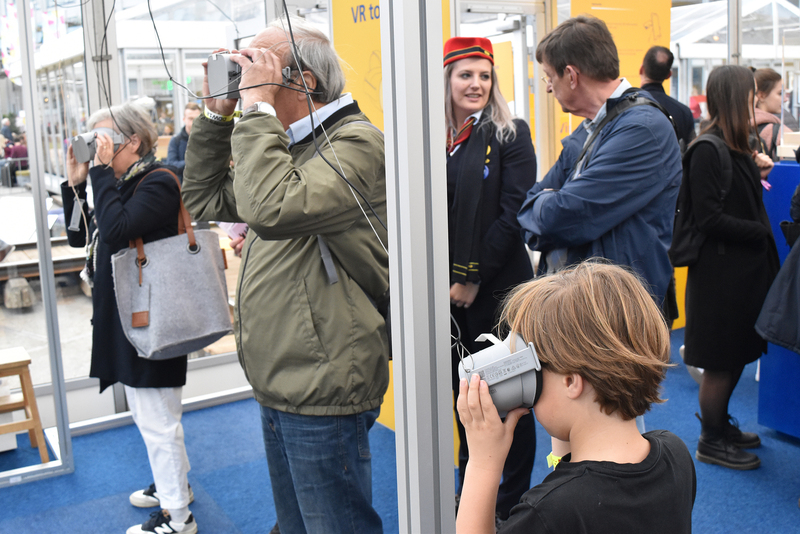 Tracing its inception to something called ‘Design Day’ back in 1998, Dutch Design Week (DDW) is now in its 14th edition and going strong from October 20-28. Whether you’re a devoted follower or considering making the pilgrimage around Eindhoven for the first time, you might be wondering: Is it worth wading through the 330,000+ other yearly visitors? What parts of it are relevant to being ‘Ahead in a Digital World’ ? Read on and find our take after spending the first weekend at this inspiring, challenging, and sometimes overwhelming event. Eindhoven completely reinvents itself for DDW and throughout the city you’ll find over 100 different venues hosting exhibitions, lectures, networking events, concerts, debates, and parties. While it’s impossible to miss if you choose to just wander around, it can also quickly become an overwhelming experience. Thankfully, there’s a number of DDW Routes composed by topic-oriented experts to guide you through the madness. If like me, you’re into digital, then having the Digital Route in your Google Maps app is a great place to start. As far as getting around, you’ll find options from renting a bike to taking an electric Renault Design Rides car. If you’ve only got a day to see it all, it’s probably best to not travel much and instead focus on one area of the event, such as Strijp-S: that’s where you’ll find the greatest density of venues and activities. The other headliner of DDW every year is Design Academy Eindhoven’s famous Graduation Show (G18) which this year relocates from the Witte Dame downtown to the Campina milk factory. You’ll have to plan ahead if you want to see them both, but it’s well worth the travel. Running around DDW looking for Digital Design work for two days left me with a few first impressions – and they say those are the ones that really count. Big Data and Privacy – what does technology know about us that we don’t? Tech is exciting – when in doubt, throw some AR in there…right? Let’s take a quick look at some examples of these, just to whet your appetite. As has been the case now for several years, big data is in vogue. Much of this year’s work takes a critical look at this paradigm, and continues to ask challenging questions in endless new ways. I saw a number of different takes on bringing this difficult subject to the foreground: from very provocative analogies, to creating awareness through gamification, to a number of digital visualizations of data against oneself. Exploring the issue through projects like these is definitely helpful in stimulating debates and driving the conversation in the right direction. 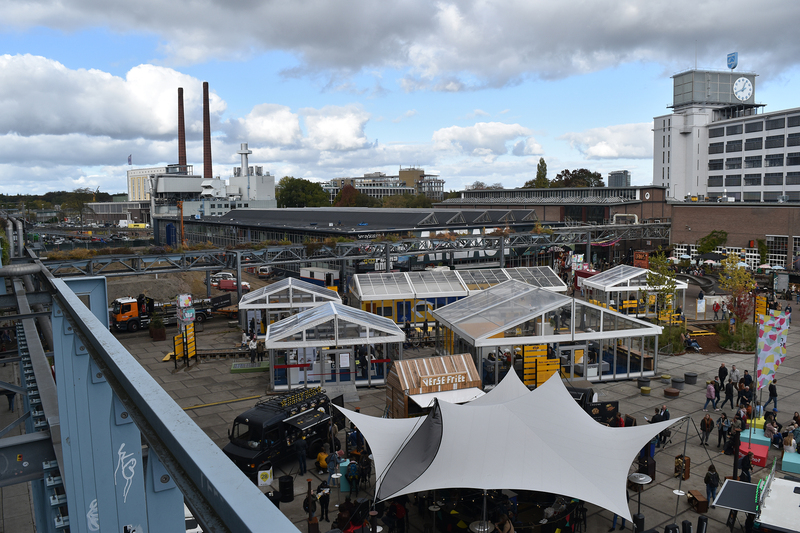 It’s especially helpful that at events like DDW, the designer is often present and more than willing to discuss. However, I didn’t yet find projects that take this particular issue beyond discourse. This is again a theme not new to the public eye. It seems to endlessly dominate conversations around politics and media, but it is a problem deeply rooted in technology. How do we demand greater quality, nuance, and filtering of flagrant misinformation – all while our digital (and governmental) platforms are being constantly attacked? How is free speech protected or limited in this context? Projects like the above and ones in The New Newsroom: Reporting Redesigned at the MU Artspace (Strijp-S) not only ask these questions, but start to take action. What does it mean to be oneself among the technology that surrounds us? 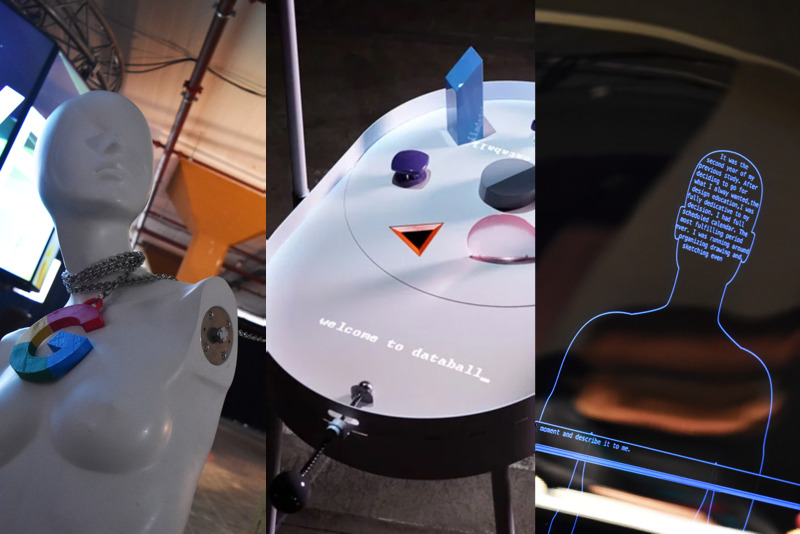 Several projects analyzed how technology can augment rather than limit the human experience. For example, Alvin Arthur’s graduation project, Body.Processing at G18 translates dance movements into code. As a programmer and dancer himself, Arthur works to remove people from the isolating and static task that is typing in front of a screen. Above, Camilo Oliveira positions Artificial Intelligence not as a challenger to humanity, but as a tool for self-discovery and therapy. 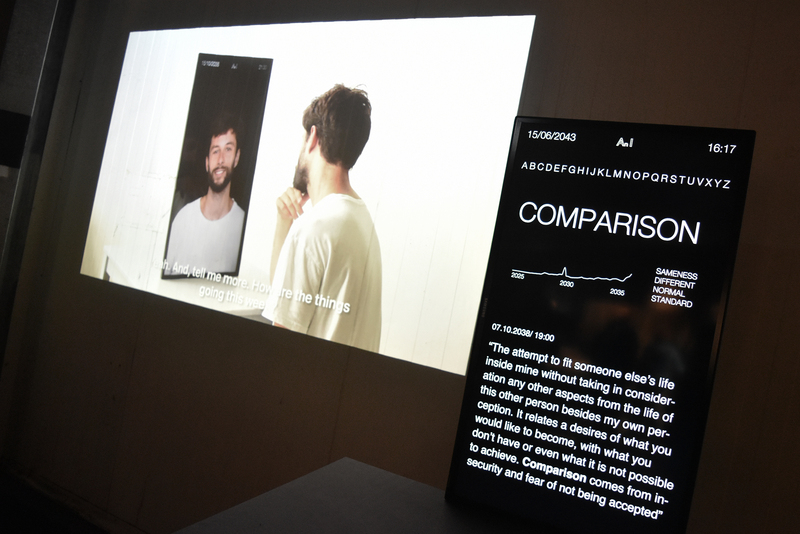 His project, An I, shows how we might have conversations with an artificially-intelligent version of ourselves that we would trust far more than another person. A.I. is already challenging our preconceptions of self, but Oliveira thinks that saturating our lives with digital technology in this way can be positive. Disrupting these ideas even further is the popular exhibition Robot Love at Campina. An interactive exhibition about the love between humans and robots, the line is usually long out the door with people looking to discover what they feel about the influence of technology and AI on our society. In fact, it was so crowded that I haven’t gone yet, so plan accordingly. Looking around the city during this week, it’s incredible to see the amount and diversity of people that get excited about design, art, music, science and technology. 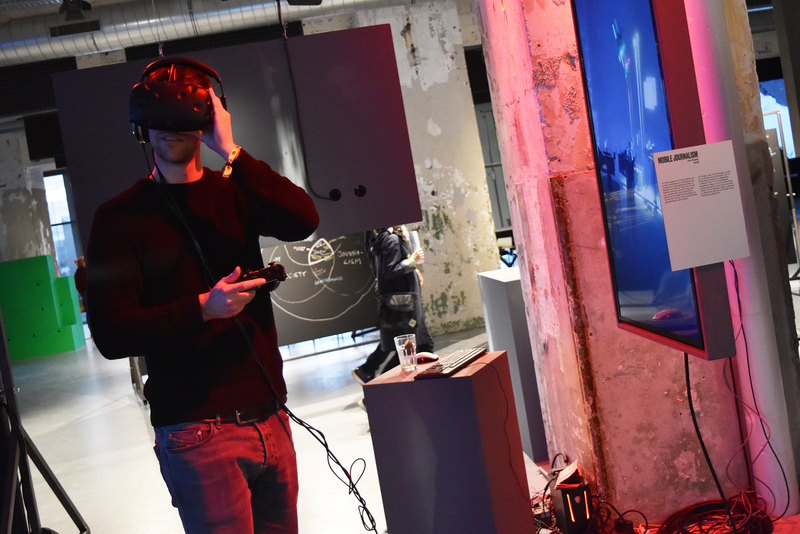 DDW manages to remain easy to consume for the majority of the public, while still not defaulting to becoming a tech show; the story behind the technology on display usually has some real substance. So, when visiting, be sure to not just be drawn in by the flashy tech – look for the meaning behind it. You wouldn’t design from a technology-first standpoint, so don’t visit DDW from there either. 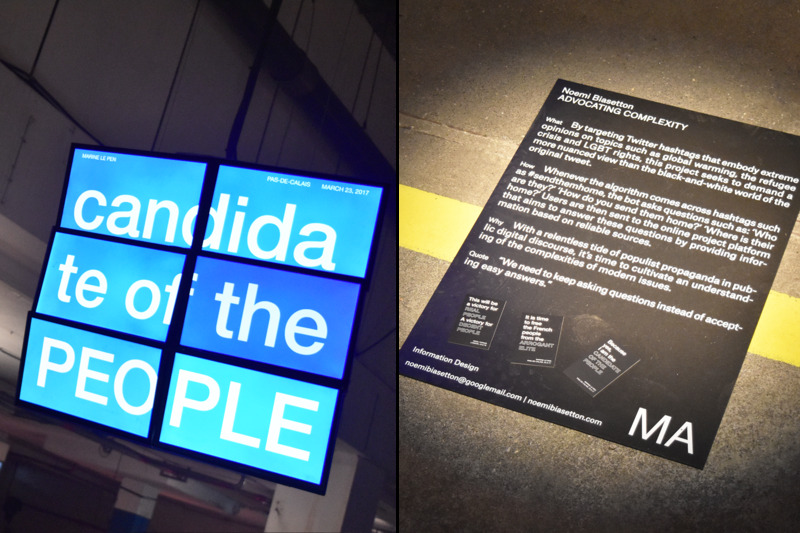 Last but not least - another great reason to visit Strijp-S at DDW is the contribution of two of Mirabeau’s own to this year’s event; Sarmite Polakova (Visual Designer) and myself (Interaction Designer) are exhibiting projects. They are definitely stealing the show so you shouldn’t miss them! 😉. PineSkins is a project which investigates how pine bark, normally a by-product of the lumber industry, can gain value through design. Sarmite carefully harvests it and treats it with natural substances, giving the bark a leather-like feel and a lifespan of several years of use. Her project challenges the collective consumption habits of today, raising awareness of product lifecycles and redefining the possibilities for an end-product. Sarmite Polakova is exhibiting PineSkins at the Leather Like exhibition in the Yiksi gallery, and as part of the Clean Revolution exhibition (which was also presented in San Francisco) in the third floor of the Veemgebouw in Strijp-S.
For my part, I worked with Miguel Cabral Guerra during one semester of our Master’s of Industrial Design program at TU Eindhoven. Our project, Awair, enhances situational awareness for the passengers of self-driving cars. Haptic feedback integrated into a work table in the car delivers subtle cues as to the vehicle’s upcoming movements through the wrists and forearms. 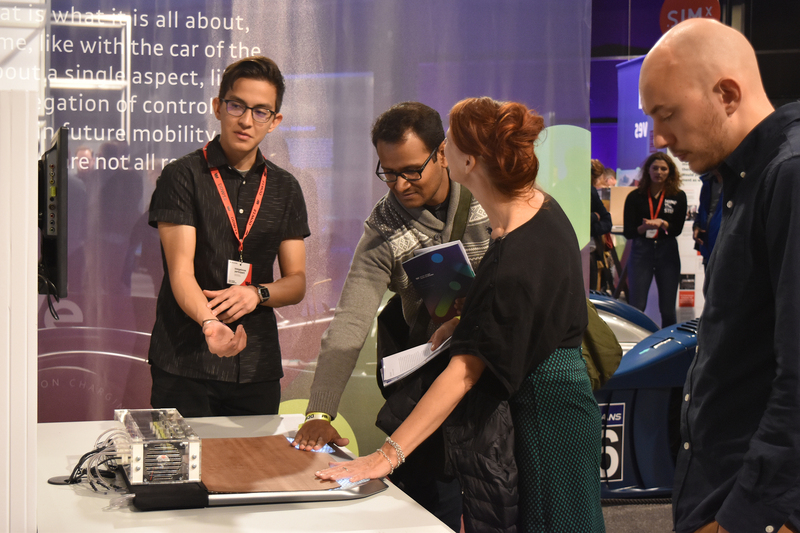 The project responds to the lack of trust currently exhibited by many towards autonomous driving, and in a more distant future would continue to work to help people feel involved in the driving process. You can find it (and probably me) at the Mind the Step exhibition of student work in the Klokgebouw building in Strijp-S.
For some, DDW might seem largely full of designs that remain unsatisfyingly speculative, too ‘out there’, or not grounded in the reality we live in outside of this week. If that’s the case, then welcome that shift in perspective; it’s not often that we get to engage in it. 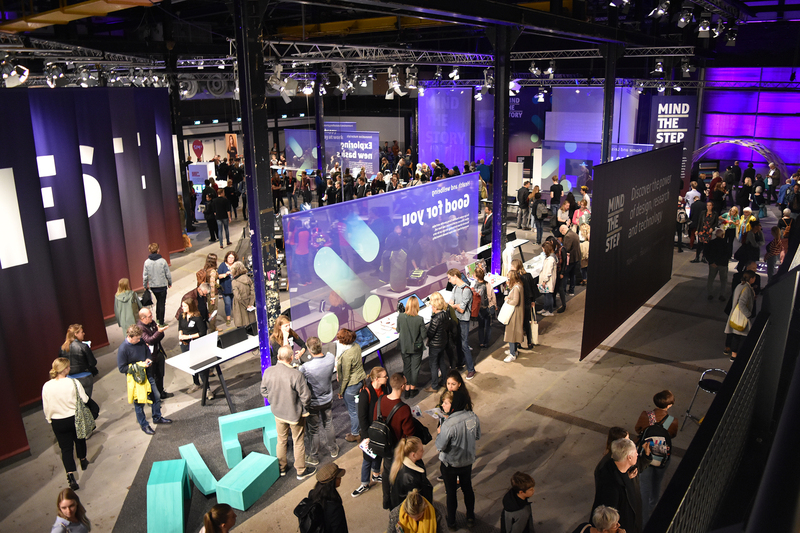 The theme of this year’s DDW, “If not us, then who?” is not exclusively talking about the event’s contributors, or about people with ‘design’ in their job title. 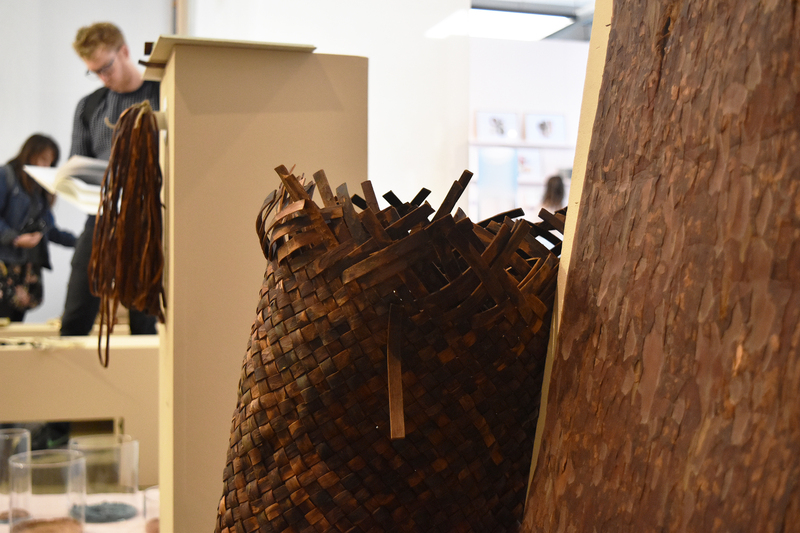 By engaging with the exhibitions and with the people who made them, anyone contributes to that call to action. Shaping the future is the responsibility of all of us – so don’t just be a spectator.